Do exercise interventions enhance the body image of adolescent girls? Sharon Mc.Intosh-Dalmedo, a PhD student within the Institute of Sport and Human Sciences provides insight from her research work. I recently completed a systematic review of literature to examine the question: Do exercise interventions enhance the body image of adolescent girls? As a part-time mature student with working commitments and a young family, this was by far one of the most daunting challenges I have ever embarked upon. However, the personal triumph I have experienced has far outweighed the difficulties I faced along the journey. To my absolute delight, the systematic review has now been accepted for publication. It is well known that many female adolescents may experience body image concerns, with research into this expanding greatly over the last quarter of a century. Body Image Dissatisfaction (BID) can be described as a subjective negative evaluation of how one feels about their physical appearance. Whilst BID intensifies during adolescence due to the bodily changes that take place during puberty, girls as young as five years old have been found to convey feelings of dissatisfaction with their body shape and (or) size. In fact, we live in an era where BID among females is described as “normative discontent”. As such, there is clear value in developing and delivering interventions that enhance body image, with sport and exercise offering one possibility. In summarising the outcomes of my review, to my surprise, only six studies utilised a research design, specifically targeting female adolescents, which allowed examination of the influence of exercise interventions on body image. Studies were discarded for inclusion on grounds such as failing to measure body image, not delivering an exercise intervention, or failing to examine influence by gender. So, the first key finding from my review is the need for more experimental research examining the influence of sport and exercise interventions on female adolescent body image. The next key finding was that only two of the six included studies produced a significant and positive change in body image following intervention (with an aerobic or self-selected sports intervention). In examining the quality of included studies, methodological rigour is again called into question. For example, only one study reported the level of attendance at intervention, at a rate of 56 per cent. Where no effect of intervention is observed, poor attendance or adherence may be an explanatory factor. In another example, in studies where pre-test body-image scores were generally high, this left limited scope for further increases (a ceiling effect). Only one study allowed participants to select the exercise activity undertaken, and this produced significant and positive changes in body image. It may be that the design of any sport and/or exercise intervention must account for the complex associations between body image and motivation to exercise. Whilst a desire to improve body image can act as a motivator to exercise in certain individuals, for others, it may impede participation in certain forms, and/or contexts of exercise. Indeed, due to the limitations of existing research, findings suggesting positive influence should be interpreted with caution. My next challenge is to address the methodological limitations in examining the influence of exercise interventions on body image. I welcome comments and suggestions from readers of the blog in addressing this important question. 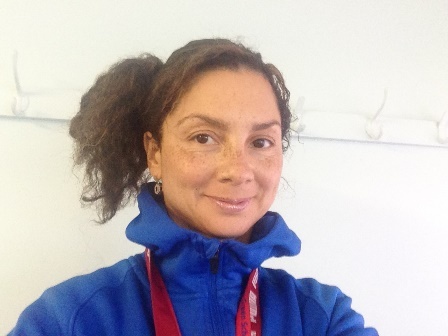 Sharon Mc.Intosh-Dalmedo is a PhD student within the Institute of Sport and Human Sciences.